Culottes! 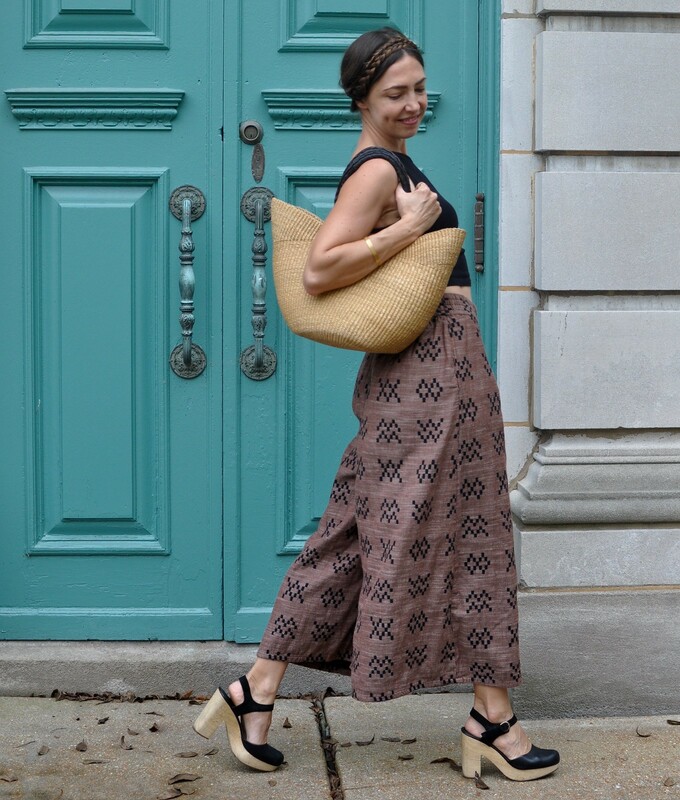 I usually don’t much care for the look of culottes (I think they tend to make me look shorter and more squat), but as soon as Ace & Jig released their Jo Midi pants in Sampler, I needed no convincing. 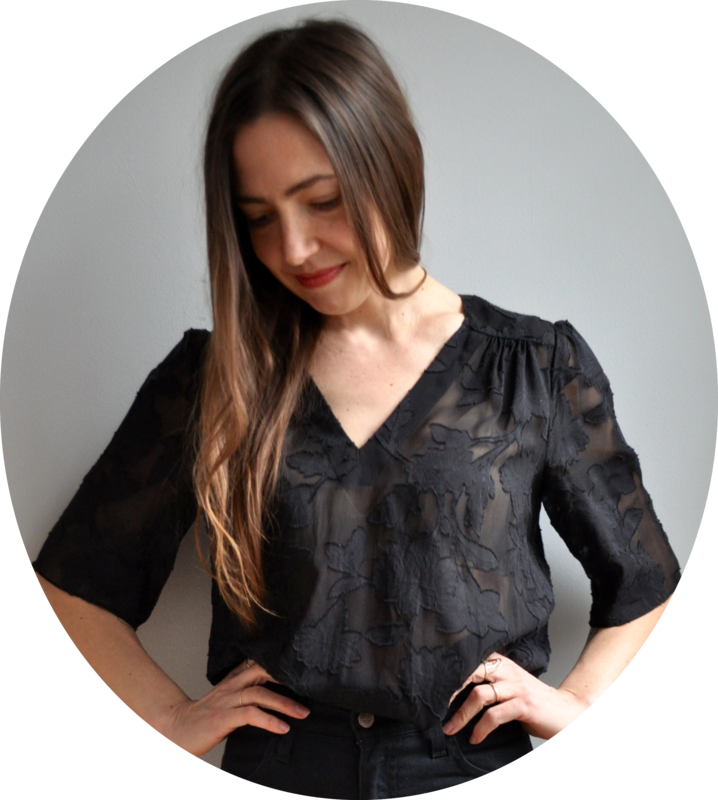 It was the folksy print that had me; the neutral colors will go with everything in my wardrobe. They are a whole lot cooler than a skirt. Great job, Cary & Jenna! You’ve knocked it out of the ballpark with this one! 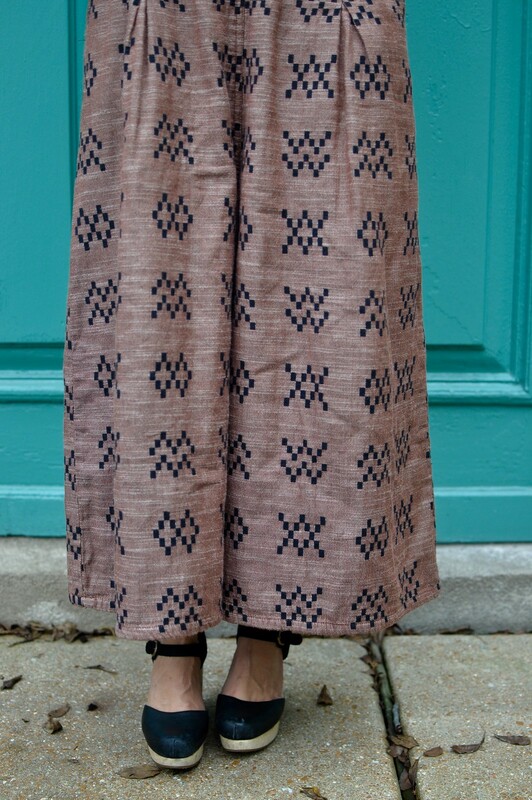 This is the first time I’ve ever liked culottes on anyone. You look great and styled them perfectly! Thank you, Leslie! I’m thinking they are making a comeback for a reason — plus, they are so comfortable! First dress that mama post I’ve noticed outside of your home! I’m loving it. That blue door provides a beautiful backdrop. You almost look like you’re in Europe (perhaps you are?). You and Courtney Adamo have completely turned me onto Ace & Jig. I only have one piece so far but I love it so. Thank you for the continue inspiration! As many have said, so happy to have you back. I’m so glad you like it, Rosie! I just returned from a morning of doing “on location” style shoots, so look for them ALL to be outside the home this coming year! And thank you for the warm welcome back! You look great of course, but i’m also super excited by your ‘on location’ outfit shoot! What a fab door! Oh good, Lilly! I’m excited too! Next week is another on location site — I think it makes a huge difference, and I’m really lucky to have a friend taking all the pics so I don’t have to pester Andrew (though he did take these, but they were shot just around the corner from our house… )! Love the pants and love the new location for the Dress that mama post! If you find yourself not wearing these anymore…I’d be interested!